Blog will resume on July 20th. 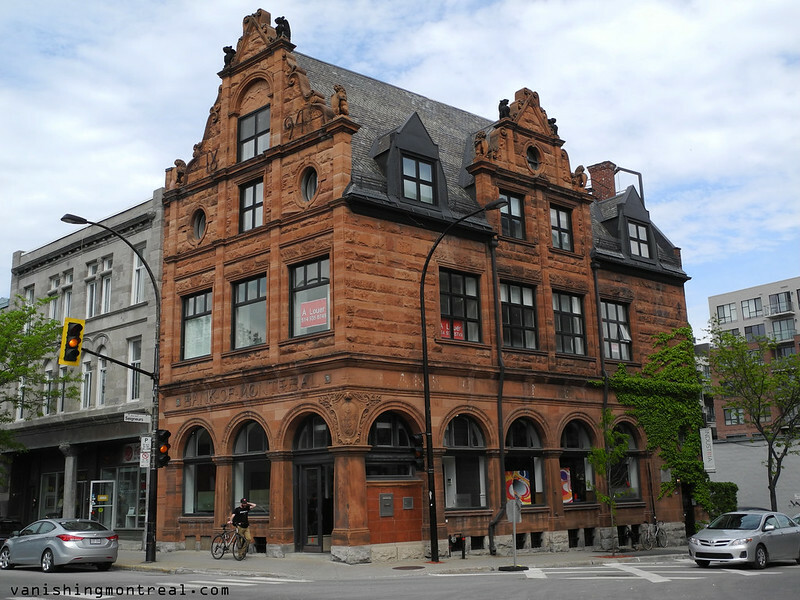 In the meantime enjoy this beautiful building on Notre-Dame street. Le blog reprendra le 20 Juillet. Entre temps admirer bien ce bel édifice sur la rue Notre-Dame. Such an amazing building constructed at a time when there were no computers , just talented architects and craftsmen working hand in hand. One hundred and twenty one years later,with all the modern technology and materials, they are pumping out dreck with no soul or beauty. We humans think we are more advanced because we can play with our cell phones and access info any time of the day. Sadly, all this technology has done is show us how much we have lost in the rush for technological advancement. I would love to know the history of this building. It has such presence and was obviously built to impress and those expansive windows must been put on the architectural drawings for a reason. The light coming into the 2nd floor must be fantastic.